I hope everyone had a wonderful Easter weekend! We decided last minute to drive out to Roosevelt (where I'm from and all my family still lives) and surprise my parents and family! 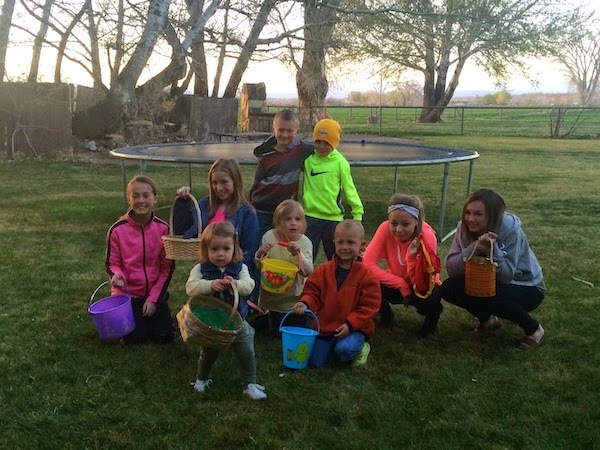 We made it just in time for family dinner and a massive Easter egg hunt for all the kids! 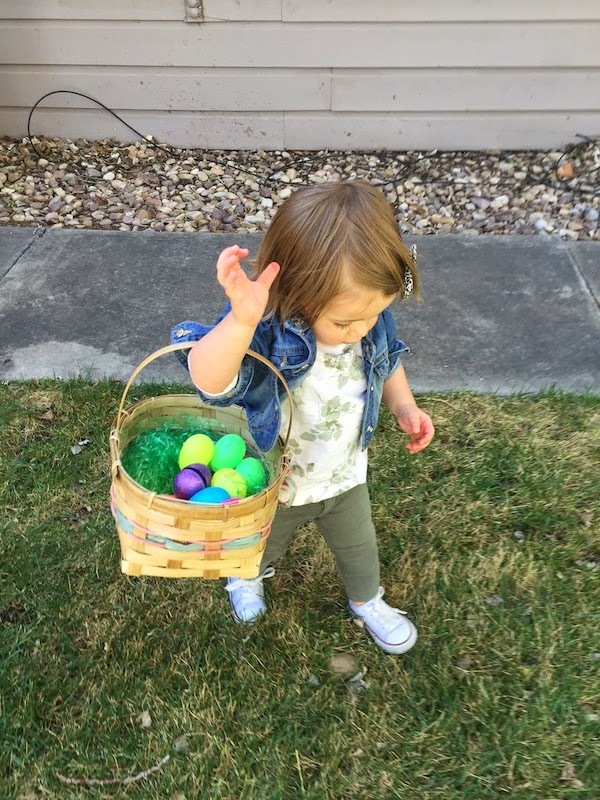 Initially I didn't think Olivia would really "get" the whole hunting eggs thing, but it took all of about 10 seconds for her to snag a basket and take off looking for eggs! She had so much fun the first day that we had to do another 'mini-hunt' for her the next day. 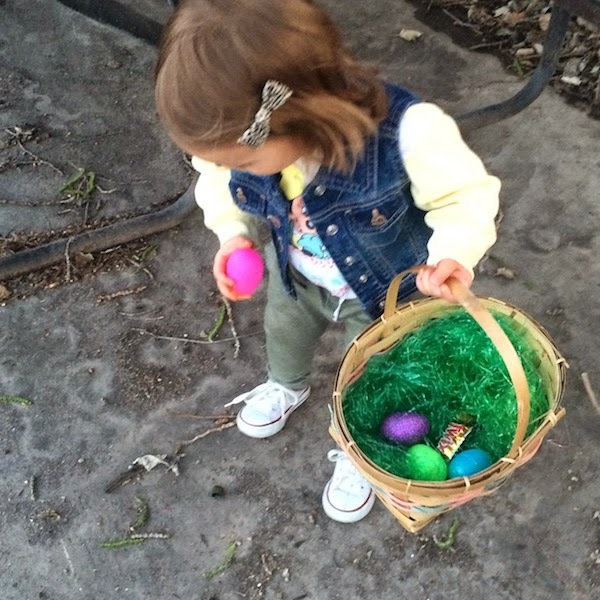 She LOVED picking up the eggs, rattling them to hear the stuff inside, and then putting them in her basket. 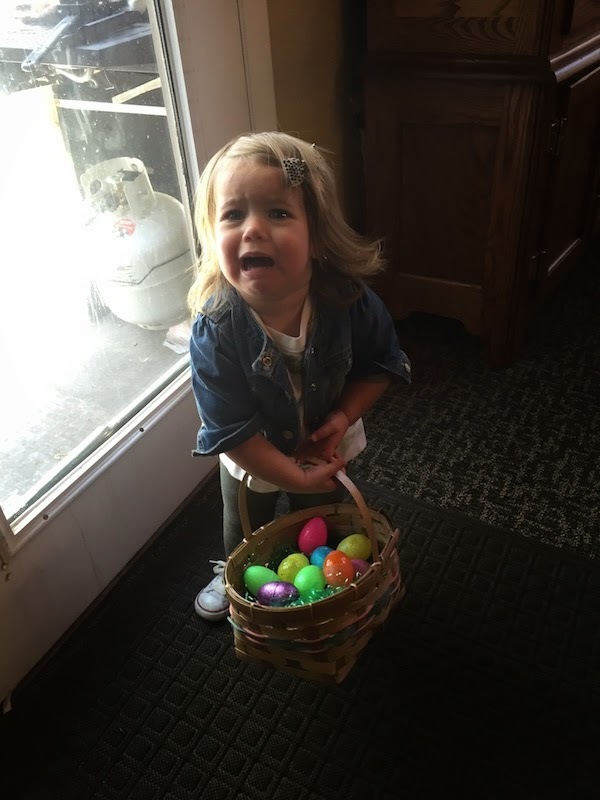 This was even the face she made when we told her there weren't any more eggs to find and we needed to come inside. HA! 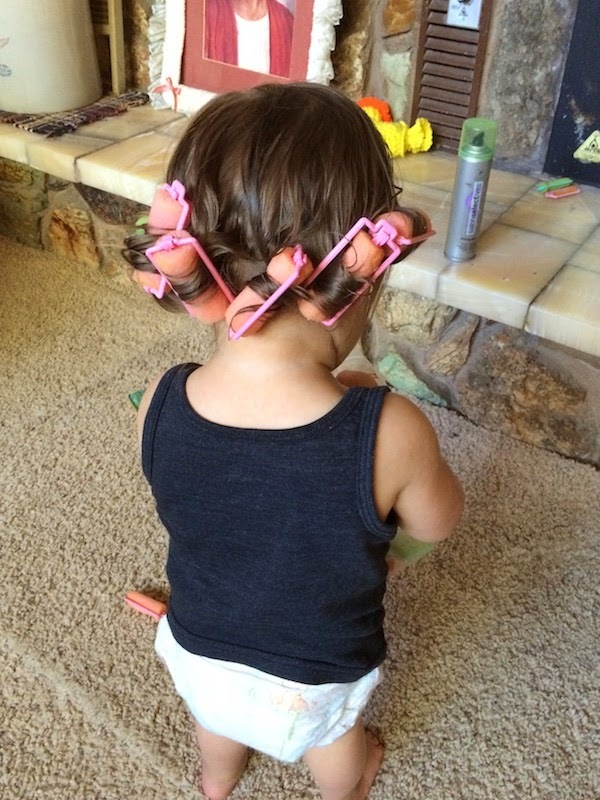 Your baby in those curlers!!! That is so cute! Looks like you guys had a wonderful Easter! Omg her little face is so cute! Ah, some 'bunny' loves egg hunts AND Jesus!! 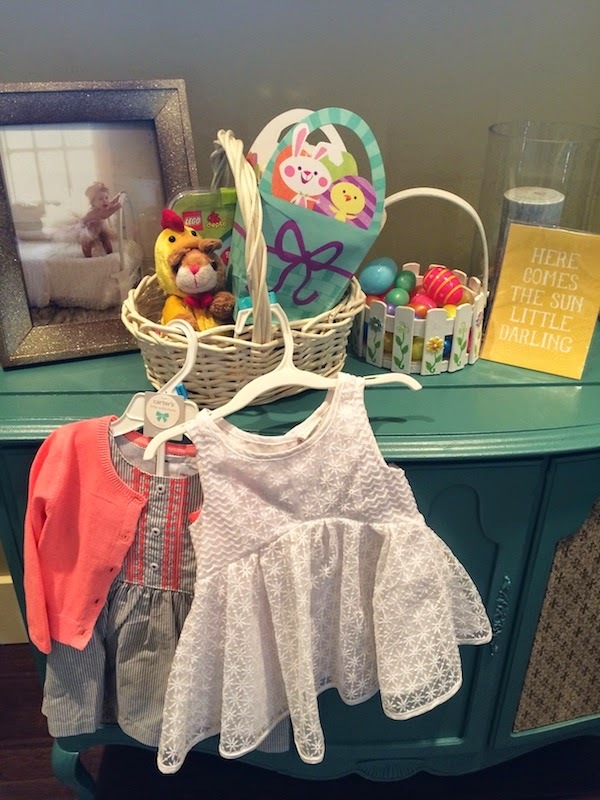 We sure love that cute, little bug and are so happy you made the trek for the family festivities! 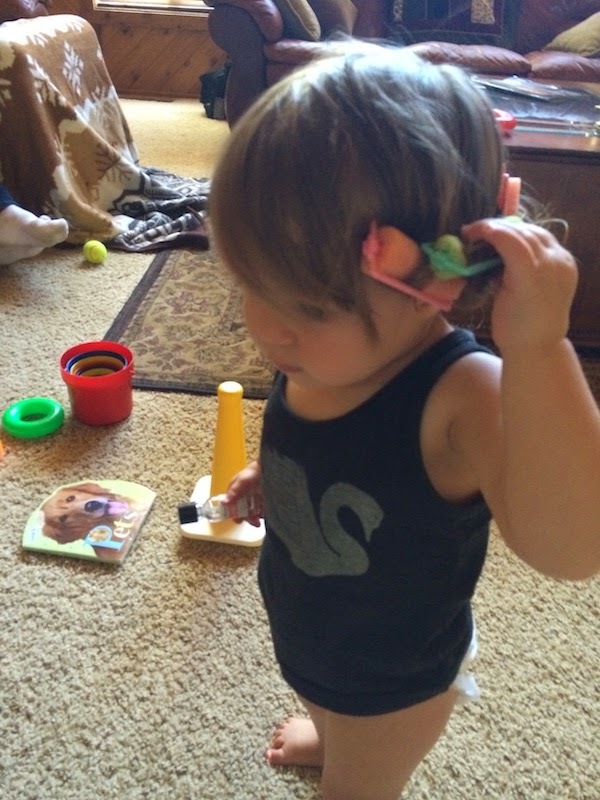 I like celebrating my birthday on Easter, because you bring my niece to see me (us), and mom forgets about the 'special' birthday hat that every birthday boy/girl (no matter the age) needs to wear on their special day! :) P.S. 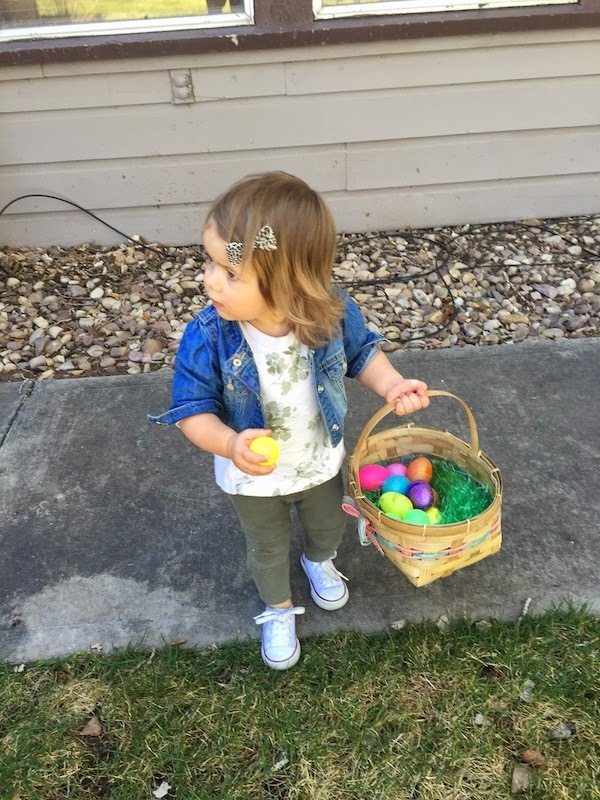 sure wish you had posted at least one picture of Liv in her vintage sweatshirt from the egg hunt the day before...just wondering why do didn't use one of them?